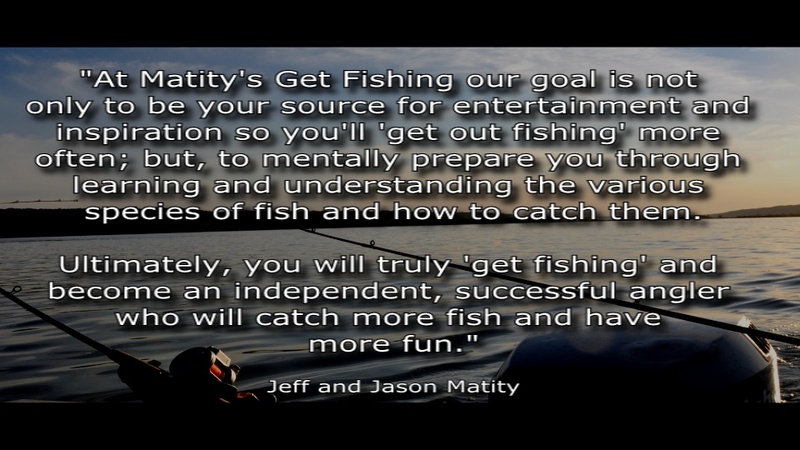 Jason Matity and Jeff Matity are helplessly, hopelessly addicted to the sport of fishing. The only thing they like better than catching big fish is helping others catch big fish. Whether it’s trolling for northern pike and walleyes, to jigging for trout, burbot and perch, pitching jigs to bass, or dunking crawlers for carp and catfish, they are Saskatchewan’s multi-species fishing authority whether on ice or open water. Know the rules! Read the Saskatchewan Fishing regulations. GetFishing’s featured videos are posted below. For much more, we invite you to visit and SUBSCRIBE FOR FREE to our YouTube Channel. More subscriptions help us produce high quality fishing videos for you. A big congrats to elder statesman Jeff Matity of getfishing.ca for his contributions to the #1 online article for Outdoor Canada in 2018. Tap/click image to read. Click image below to see our appearance on the Nordic Lodge reality TV Show in Grand Slam : Season 3, Episode 6. We test drove a Ford F-150 King Ranch to northern Saskatchewan. Tap here to read about the experience. Jeff and his wife Lori went bassin for walleyes with hall of fame angler Gord Pyzer. We made the Kingston-Whig Standard again thank you to our friend Ashley Rae of shelovestofish.com. Click image below to read the story. Our pal Todd Longley of City Cats guide service in Winnipeg featured us in the summer edition of Wild Guide magazine. Select the graphic below to see what all the mayhem is about. It’s a real honour to be featured again in Ashley Rae’s She Loves To Fish column in the prestigious Kingston Whig-Standard. It was an amazing fishing trip and I can’t wait to do it again in the future! Read all about it by selecting the graphic below. Matitysgetfishing.com is super stoked to make an Ontario lady’s monster ice pike dreams come true. Professional fisher Ashley Rae of She Loves To Fish.com hung a few giants on a recent ice fishing trip to Saskatchewan. Thank you to the Leader-Post and Star Phoenix for distributing the Destination Saskatchewan Winter Edition. If you can’t find a hard copy, matitysgetfishing.com offers great tips on page 28 and 29 which you can see by selecting the graphic below. This is a very enjoyable story about matitysgetfishing.com in the community. Thank-you to the good folks at the Fort Qu’Appelle Times for the coverage! Hope you enjoy this awesome feature on matitysgetfishing.com from our friends at the Herald in Whitewood, Saskatchewan. Just tap image below to see the entire issue including part two of the article on page 9. Note, it may take a few seconds to load. Hit the back button on your browser to return to matitysgetfishing.com.